If a well manicured landscape is important...we'll make it more important. While you are out dealing with other demands in your life or business, we understand the landscape is the last item you want to worry about. 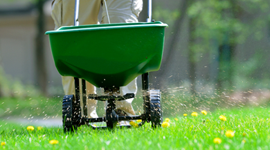 With our value based and reliable services, we will make your landscape maintenance important and worry free. From lush floral displays to well trimmed lawns, you are guaranteed professional and courteous service every visit. For over 25 years, Schneider's has been maintaining landscapes of commercial and residential properties throughout the Dayton and Cincinnati areas. We have a proud tradition for caring, which is why we have never had a customer cancel due to poor service. Our professional servicemen will be onsite not only performing the items in the maintenance contract, but also monitoring the health of your landscape and potential site problems enabling us to offer suggestions to improve your property's appearance and functionality.